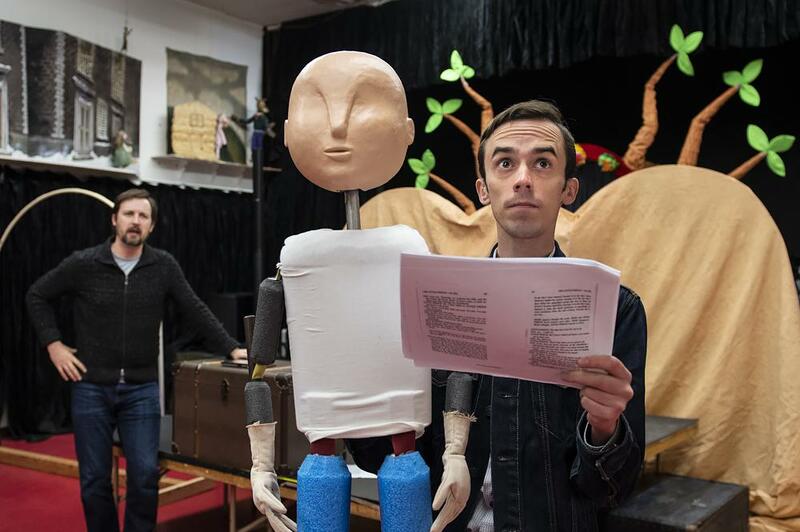 Awaiting his final costume, the Mesner Puppet Theater's Little Prince puppet sits in a corner as Coleman Crenshaw and Hollis Wilhoit rehearse. An aviator falls to earth and is marooned with his downed biplane in the Sahara. In the desert, he meets a mysterious prince who’s traveled to earth from a distant asteroid. So begins the alternative to traditional holiday-themed fare this year from The Mesner Puppet Theater. Based on the novella written by Antoine de Saint-Exupéry in 1943, “The Little Prince” explores friendship and love and seeks to discover the truth beneath the surface. “The story starts with the Aviator crashing in the Sahara Desert, and everything he experiences while he's there could be real or it could be his imagination,” said Director Erika Baker. In the new production, Mesner Puppeteers will share the stage with actor Coleman Crenshaw, who plays the Aviator. During rehearsal, actor Coleman Crenshaw as The Aviator speaks to Hollis Wilhoit in the role of the Little Prince. 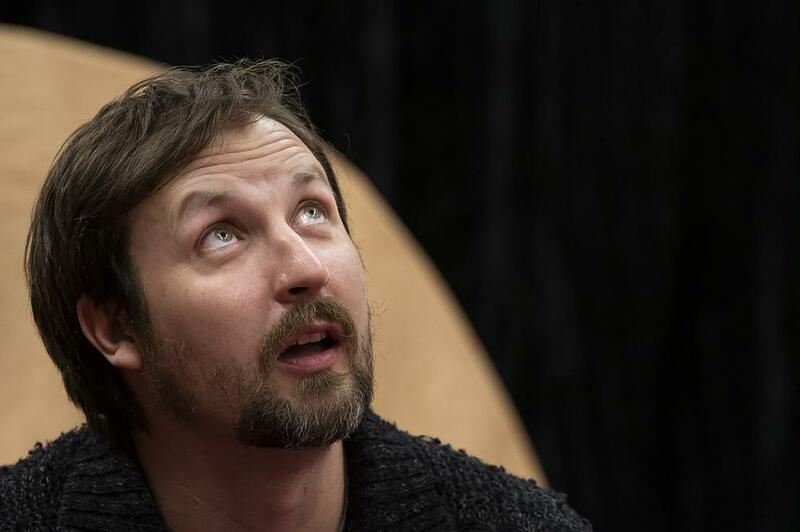 During early rehearsals at the troupe’s studio on Linwood Boulevard, puppeteer Hollis Wilhoit, who plays the Prince, remembered how his aunt read the book to him in French when he was a child. 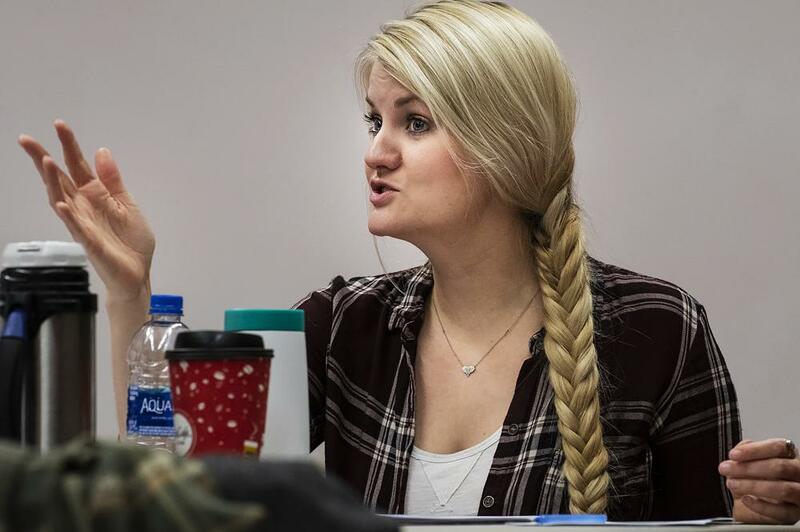 “It does come across as a children’s story if you are a child, but the older you get, the more you dig out of this wonderful story,” Wilhoit said. Director Erika Baker helps the puppeteers block out a scene during an early rehearsal. To create the illusion of a remote desert dreamscape, the production is moving from troupe’s rehearsal space at its studio on Linwood Boulevard to Union Station to take advantage of the 60-foot, star-filled dome of the Arvin Gottlieb Planetarium. Renovations to the planetarium completed last year brought high-tech projections of the night sky in 4K resolution to render a detailed, 360-degree views of the cosmos. Since founder Paul Mesner left the organization in July 2017, the company has been forging new partnerships with organizations and venues like the Arvin Gottlieb Planetarium to enhance their productions and reach new audiences. Coleman Crenshaw plays The Aviator. Shawna Peña-Downing, who takes on multiple roles playing the Fox, the Snake and the Rose, said all of the creatures the Aviator encounters have something to offer. 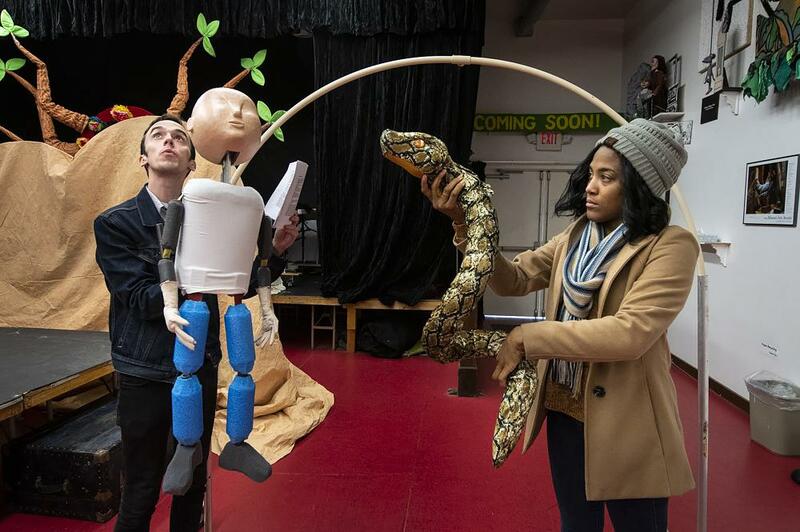 Wilhoit operates The Little Prince puppet as Shawna Peña-Downing makes a slithery move with the Snake. Baker said the best stories operate on multiple levels and don’t spell things out for children. The Mesner Puppet Theater presents "The Little Prince," Dec. 4-29 at The Arvin Gottlieb Planetarium, Union Station, 30 W. Pershing Rd., Kansas City, Missouri 64108. Mesner Puppet Theater announced leadership changes to the organization Tuesday. Founder Paul Mesner will be handing over the reins as artistic director to longtime puppeteer and associate artistic director Mike Horner. The company has also created the new position of Education Director, and artist, set designer and director Alex Espy will be taking on that role. People around here know Oz. So why would Mike Horner, the company's artistic director, bother with yet another production of the story? For nearly 30 years, Paul Mesner Puppets (now known as Mesner Puppet Theater) has produced puppet shows based on fairy tales and contemporary children stories, from Sleeping Beauty to The Stinky Cheese Man. They're mostly aimed at kids, with sly humor for adults, too. But, in the last few years at the Kansas City Fringe Festival, the puppeteers have been branching out into more risqué material — of course, for adults.